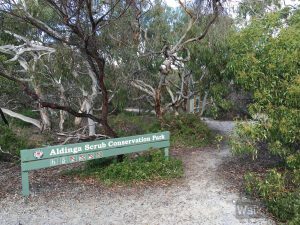 An interesting area is the Aldinga Scrub; the scrub is the only existing example of coastal scrub land of its kind in South Australia. 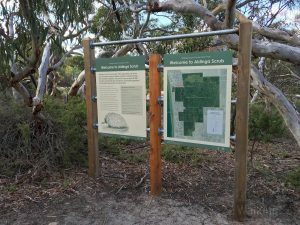 This was a major focus of Aboriginal occupation of the Adelaide region. Recent sites are a rare store of information about a way of life which no longer exists. Stone tools and campsites suggest occupation for at least 20,000 years. 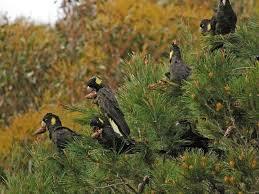 There are well marked walking trails and this park offers some excellent bird watching. 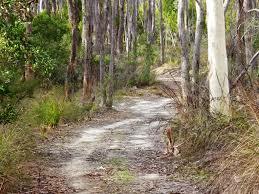 Depending on the season you may see honey eaters, wood swallows, elegant parrot, song lark, mistletoe bird, yellow thorn bill, white babbler, rainbow bee eater and birds of prey.